In the game, our market will encounter this phenomenon, game play is very intense, the mouse does not give force, the hand has been the mouse down several times, the mouse has not moved, watching his opponents played Xuerouhengfei, the heart of grief and indignation can be used to describe the face, may scold a few Niang are not useful, let a person very excited out of control. The cause of this phenomenon, in part because the mouse sensor is not sensitive enough, if the choice of high-end sensors, the probability of this phenomenon will become lower. But if you do not want to spend hundreds of to buy a mouse to practicing, a better mouse pad can also solve such problems. Logitech (G) G240 soft cloth game mouse pad is a universal mouse, can be used with g502/g402/g102. 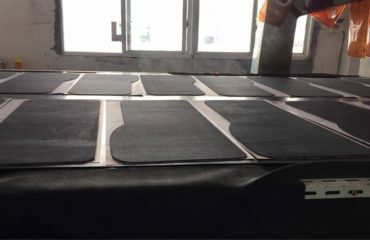 This set of cloth game mouse pad, thickness of about 1MM, the surface of the use of scrub, the back is plastic, has a good sense of touch and non-slip function. Or when your wrist moves back and forth on the edge of the mouse pad, a layer of about 1 millimeters of soft material is firmly bonded to the fabric, preventing the cloth from stacking to form a surface so that the mouse is unimpeded during the march. With a surface of about 200 ℃ heat treatment, you can provide resistance to low DPI gaming operations, preventing such games from starting or getting out of control when moving quickly or suddenly, and making your performance more rhythmic in the game.